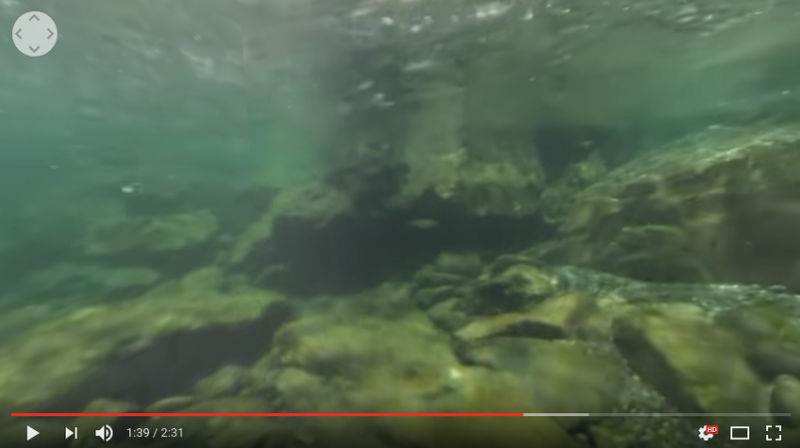 Can the Garmin Virb 360 capture underwater video with seamless stitching after all? That’s what seems to be the case in this sample 360 video posted by 360 Labs. UPDATE: See the comment from 360 Labs! 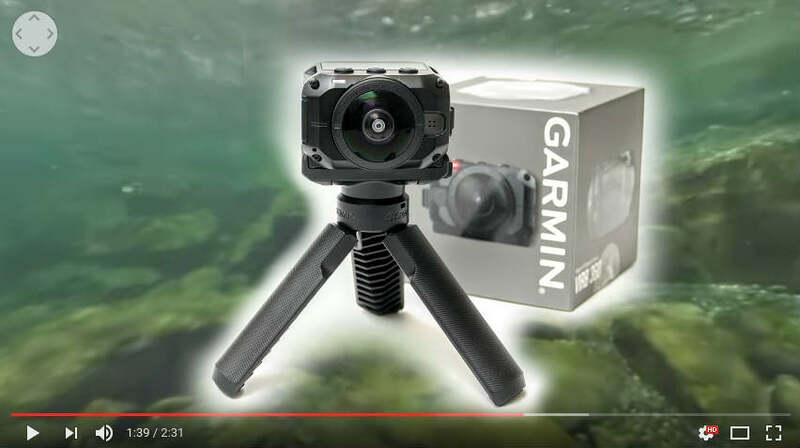 The Garmin Virb 360 is a rugged and waterproof 360 camera with detailed 360 videos of up to 4K with in-camera stitching or 5.7K unstitched (recorded as two 4K 2880 x 2880 circular fisheye videos). However, when I took sample underwater videos with the Virb 360 using the in-camera stitching, I found that the stitching did not compensate for underwater refraction which significantly reduces a lens’ effective field of view. See this post. Here is a low-res screen grab (not the full resolution) from what seems to be the stitch line — except it’s hard to tell whether this is truly the stitch line. It’s THAT smooth. Note also that this isn’t just some simple swimming pool with repetitive tiles that could disguise a stitching error. These are random rocks. The key to the smooth stitching appears to be the stitching software — they used Mistika VR, a stitching software that uses optical flow stitching. I will try to test the Garmin Virb 360 underwater, unstitched, and stitch them in Mistika VR to see if that will indeed yield a smooth stitch. If it is confirmed that the Virb 360 can be stitched smoothly underwater, it would make the Virb 360 a very good option for underwater 360 videos (another one would be the Kodak SP360 4K Dual Pro). Garmin Virb 360 is available here. Mistika VR is available here. Thank you very much to Pepe Vazquez for bringing this to my attention. Be the first to try a hands-on demo of Insta360’s new camera in Tokyo!